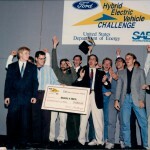 For more than a decade, the National Science Foundation (NSF) has honored an incoming and long-term faculty advisor within the DOE Advanced Vehicle Technology Competition (AVTC) program that best promotes the AVTC goals, objectives, and activities within their university. Advisors receive a $10,000 cash prize toward their AVTC program as well as special recognition from the NSF. The NSF recognizes that the role of the faculty advisors is paramount to a team’s success. They provide not only the knowledge and education that is fundamental to the student’s understanding of the program deliverables, but they provide the guidance and leadership that keeps the student teams on course throughout the program. 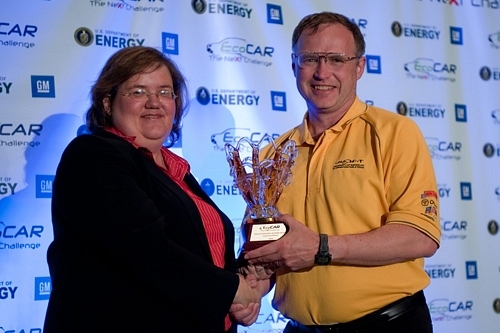 These awards recognize advisors who have successfully incorporated the EcoCAR goals, objectives, and activities into their undergraduate engineering curriculum and the benefits students receive as a result of the EcoCAR program are of special importance. The first advisor we’d like to congratulate is Dr. Roydon Fraser, Professor of Mechanical and Mechatronics Engineering from the University of Waterloo who was awarded the 2010 NSF Outstanding Long-term Faculty Advisor Award for his 15 years of dedicated service to the AVTC program. 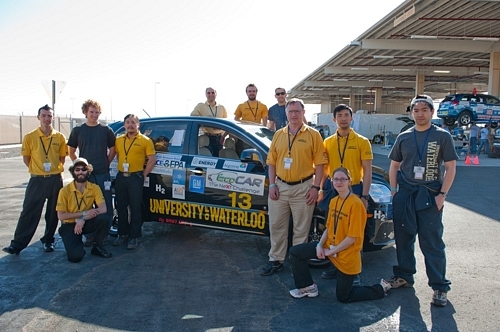 Since 1996, Dr. Fraser has transformed the University of Waterloo Alternative Fuels Team (UWAFT) into one of the largest student teams on campus. The team has generated such prestige that many students come to UW just to join the team. Dr. Fraser provides critical administrative support to ensure tools, equipment and funding necessary to implement project designs are available to his students and helps them to think critically and innovatively to push students to their highest potential. 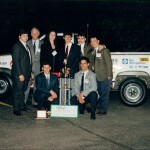 Dr. Fraser has supervised about 650 design projects throughout his tenure in the AVTC program and has successfully led his teams to multiple top four place finishes in the Propane and Ethanol Vehicle competitions as well as the Challenge X and current EcoCAR Challenge series’. Dr. Fraser receives the 2010 NSF Outstanding Long-term Faculty Advisor Award from Connie Bezanson, DOE's AVTC Program Manager. 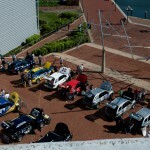 Dr. Fraser with the UWAFT EcoCAR team at the GM Desert Proving Ground in Yuma, AZ. Check back shortly for a second Outstanding Faculty Advisor post!